A true hidden gem of Northern Lancaster. Tucked back from Route 897 this Country Farmhouse comes with breath taking views, and olde world charm. The original 1789 red stone home holds its original hardwood floors and stone fire place. the house also include an addition which is accessible from the main home but also private and has great rental potential including entry level bedroom and full bath. Addition also includes its own kitchen and washer/dryer hookup. The entire home over looks its very own pond refreshed with the continuous flow of the near by stream. 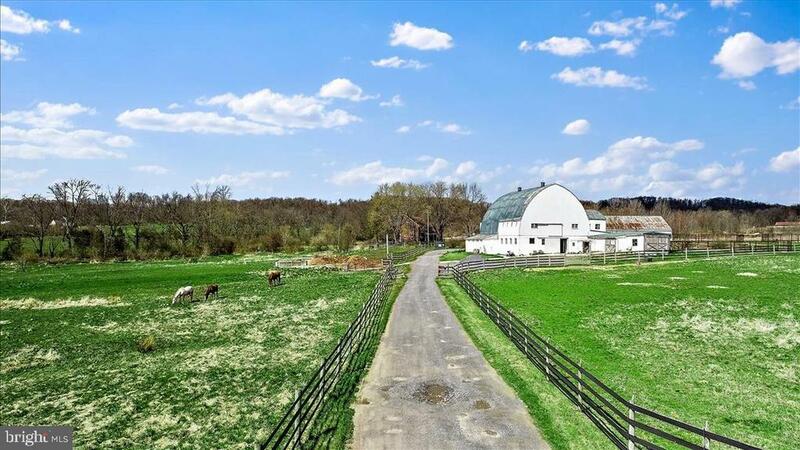 All of this is surrounded by over 20 acres of farmland, including several barns, holding a round about of 20 horse stalls that offer tack rooms, wash areas with hot and cold water, and bulk hay storage. this property is a true equestrian dream. Directions: From 222 Adamstown exit, S. on 272, R on 897, approx 2 miles, farm is on the right.